The last movie, rebooting a franchise that had reached a dead-end after the lacklustre Spider-Man 3, was a decent if somewhat uninspiring outing for the web crawler, helped it has to be said by solid casting and some good action. This time around Peter Parker (Andrew Garfield) is still juggling his on/off relationship with Gwen Stacy (Emma Stone), trying to hold down a job as a photographer (er, only hinted at) and his responsibilities as a super-hero. However the mystery behind his parent’s disappearance still looms and a new enemy in the shape of an ignored, put-upon scientist (Jamie Foxx) turned electricity consumed super-villain ‘electro’ arrives on the scene. Plenty going on in this sequel. Again Garfield is good as Parker/Spider-Man although his snively / arrogant double-act grates sometimes. Stone on the other hand is again perfect, even if she doesn’t get much more to do than threaten to run away to England. Sally Field as Aunt May seems to have stepped up her presence however in the absence of Martin Sheen’s Uncle Ben, and we also get Harry Osborne (a diverting Dane DeHaan), former best friend turned megalomaniac beneficiary of Oscorp. As always for this kind of thing the sequel seems over-complicated but makes for some great action and superb effects work (apart from some dubious swinging through New York bits that looked better in 2001). Foxx is good as Electro even if his character is quite the cliché, but overall there was a somewhat childish tone with too many moments of poking fun at our hero (the fireman’s helmet bit?). It’s hard not to wish this had turned out differently … towards the end it really hit it’s stride, offering up some surprises as well as the (albeit predictable) character-ark of Harry Osborne. Yet this was still good entertainment, despite suffering from the usual sequel / trilogy trappings. Roll on The Amazing Spider-Man 3 then. 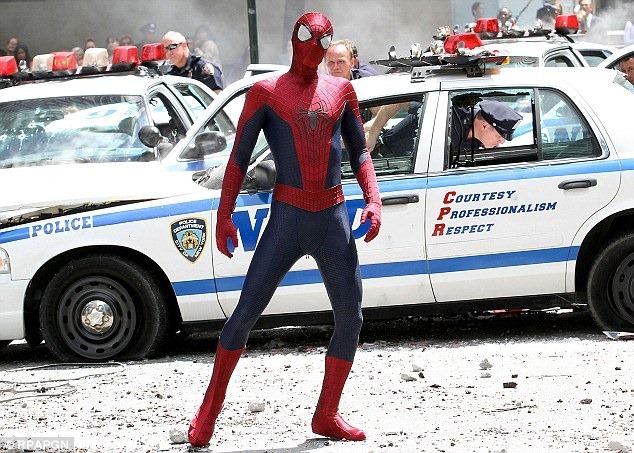 This entry was posted in DVD, Movies, Reviews, Sci Fi / Fantasy Reviews and tagged Andrew Garfield, Dane DeHaan, Electro, Emma Stone, Harry Osborne, Jamie Foxx, Spider-Man, Stan Lee, The Amazing Spider-Man 2 by Craig M. Bookmark the permalink. Was quite disappointed by it myself, the movie really lacked focus….